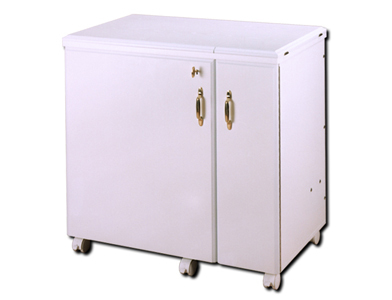 Horn Cabinets makes some of the best sewing machine cabinets on the market. 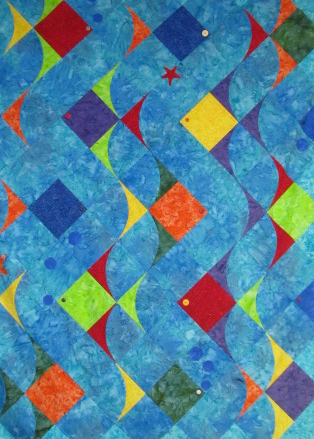 remove it from the box and complete any final assembly. 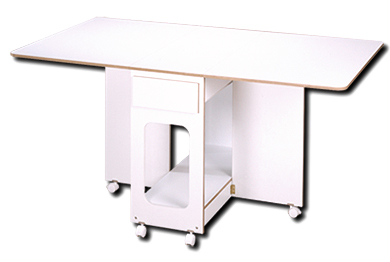 Model Number: 2111 A sturdy 40"X72" cutting table that can close up and be out of your way. 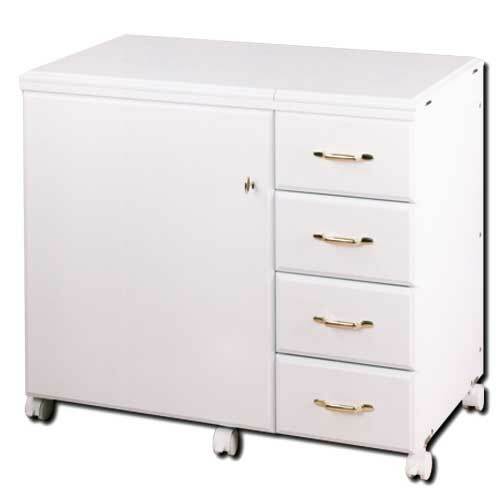 Model Number: 2139 A compact sewing cabinet loaded with great features! 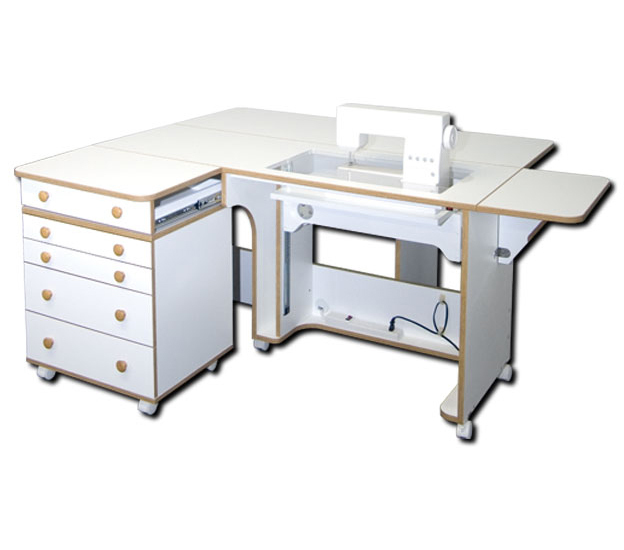 Model Number: 1300.81 Works with most single head embroidery machines,Roll out accessory platform,One deep drawer on nylon rollers with stop,Easy roll lockable casters,Completely assembled. 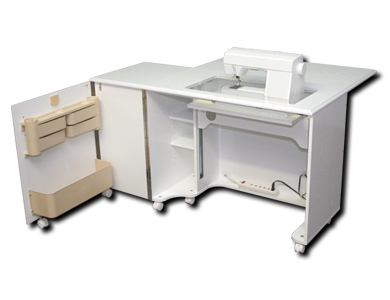 Model Number: 5239 The Compact Sewing Cabinet with lots of work space and the NEW "Whisper Quiet" Electric Lift. 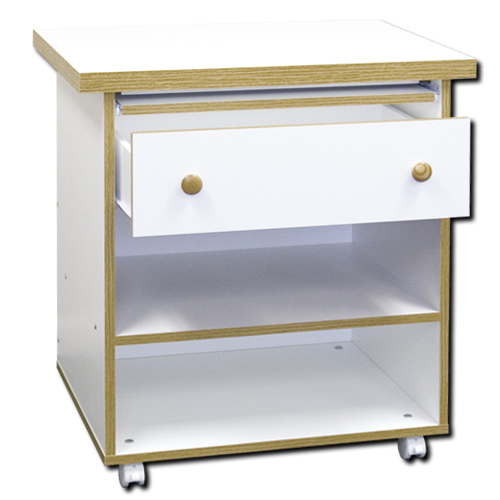 Model Number: 01 A compact 4 drawer caddie that can be used as support for the 062 Swiv-l Serger platform. Fits neatly under the drawer of the 3140 for additional storage. 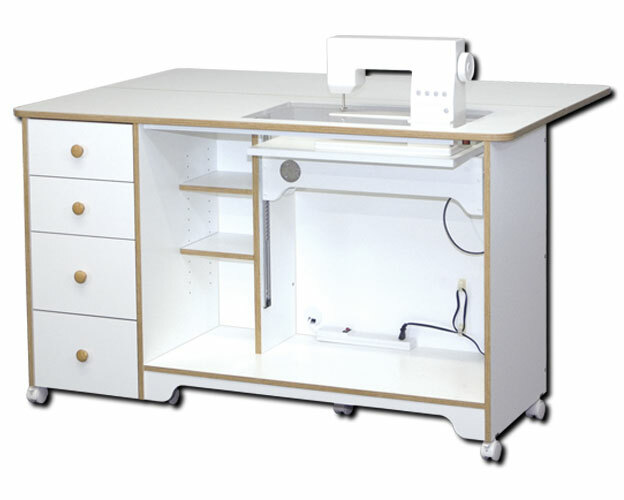 Model Number: 5680 Raised height (35") allows this cabinet to be a sewing machine cabinet, cutting table and storage area all in one space! 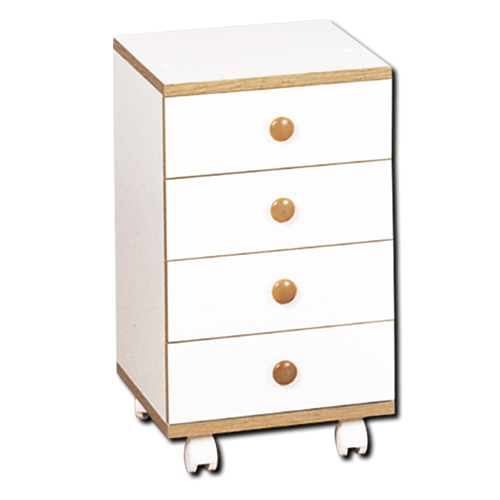 Model #2156. 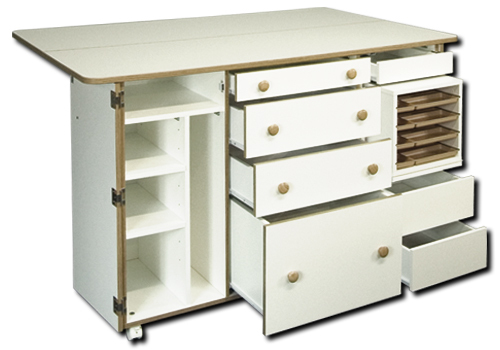 The traditional 4 drawer sewing cabinet with all of the latest innovations.